Icelandic strongman optional, beer cooler required. One of the greatest misconceptions ever propagated by . . . well, almost everyone, is that the 19th hole must be enjoyed in a stationary structure, and that it must occur in numerical order. Our point? Well, sometimes you can take it with you, and one needn’t wait until the round is over to crack open a cold (or at the very least lukewarm) one. Flasks are mighty nice, and can go just about anywhere, but with the right kind of course, a beer cooler can come in just as handy. True, a cooler won’t fit in your breast pocket nearly as well—if it does, you might want to get that checked out by a doctor—but it’s tough to beat a couple of cold brewdogs between holes. Or ice tigers. Or foam ponies. Or whatever the kids are calling them these days. With only one catch: unless your two-man best ball partner is Magnus Ver Magnusson, it’s not horribly convenient to lug a heavy beer cooler around the links. But fortunately, the gods of golf have created a shorter solution that doesn’t necessarily involve Icelandic strongmen: the Par-3 course. And Oregon’s legendary Bandon Preserve is a prime example. Now, we are hardly scientists when it comes to the study of fun—despite that week we spent at space camp—but 90% or more is a number worthy of consideration. After all, a foot-long hot dog is 90% bigger or more than a cocktail weenie; the Eiffel Tower is 90% taller or more than the Greyhound Bus Station in Cleveland; and an Oregon-brewed Rogue pale ale is 90% tastier or more than the non-alcoholic beverages one normally sips at while waiting for the arrival of the 19th hole. Yes, even that expensive Icelandic spring water in the weird bottle. And yes, we’re looking at you, Magnus. 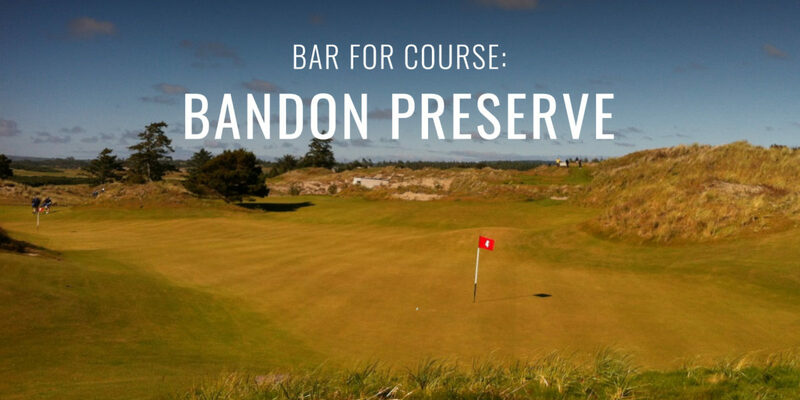 To learn more about the beer-friendly Bandon Preserve Par-3 course, click here. To check out some other strong Par-3 contenders, click here.